Chopin was a Polish composer who wrote numerous classical pieces for the piano. He was a leading figure in the Romantic music period, fusing the classical styles of J.S. Bach and Mozart, with elements of his native Polish folk music. Aged 20, Chopin became an emigre from Poland, after the failed November uprising of 1830. Chopin settled in Paris where he continued to work as a piano teacher and composer. He is widely regarded as one of the greatest piano composers, leaving a legacy of solo piano pieces and two piano concertos. Chopin was born 22 February 1810, on the outskirts of Warsaw, in the Duchy of Poland (then under the control of the Russian Empire). Chopin’s father was a French teacher at the Warsaw Lyceum. His mother gave him some early piano teaching, but from six years old, he received professional tuition from Wojciech Zywny. The young Chopin was delicate and prone to ill health, but he proved to be a musical prodigy. By, the age of seven he was giving public performances on the piano and composing his first pieces for the piano. The young piano genius gained the patronage and respect of leading figures of Warsaw society, such as Grand Duke Constantine, the Russian ruler of Poland. His tutor Zywny later said that by the time Chopin was 12, there was nothing more he could teach him because the ‘little Chopin’ had already exceeded his teacher. Chopin was mainly tutored in Warsaw, but he also travelled to more rural areas where he became acquainted with local Polish folk music. These influenced his later ballads and Mazurkas. Aged 16, Chopin began three years of music study with Jozef Elsner, a Silesian Composer at the Warsaw Conservatory. These three years were important for Chopin’s musical education, where he learnt music theory and more classical composition. His reputation continued to grow and he performed for Tsar Alexander I during a recital in Warsaw. Chopin was depressed on hearing the news that the uprising was crushed by Russian forces. “a Polish artist, may be ranked first among musicians who have had an individual poetic sense of a particular nation. Chopin became greatly in demand as a piano teacher, performer and composer. Due to ill health and a reluctance to play in front of large audiences, Chopin rarely gave public performances; he preferred to give small recitals in private salons. Yet, despite limited public appearances, his reputation as a pianist grew and he is widely considered to be one of the greatest pianists of the era. Chopin composed over 230 pieces which have survived. Chopin developed many musical styles, especially for the piano. For example, he created Nocturnes with great levels of sophistication and depth. His Preludes and Etudes have become classic works in the teaching of the piano. Chopin is considered synonymous with the Romantic movement of the Nineteenth Century. 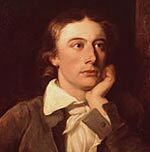 Primarily a poetic movement, Chopin was seen as a musical offshoot of Romanticism. His musical style included a dazzling style with both improvisation and a sense of freedom, but also a strong inclination to harmony and effortless melody. Chopin suffered ill health throughout his life, and in the late 1830s, sought to escape the cold winters of Paris, and tried living in Majorca and Spain. He travelled to Majorca with his lover George (f) Sands. It was a strange relationship with Chopin initially saying he couldn’t really believe she looked like a woman, yet despite a physical dislike, he felt a strange attraction. However, their relationship became increasingly tempestuous, with Chopin taking the side of Sand’s daughter Solange in arguments. However, Sand proved a faithful companion as Chopin’s health deteriorated. It was Sand who helped to nurse Chopin during periods of his ill health. Despite frequent arguments, there was a mutual affection. Yet, it ended acrimoniously with the couple splitting before his death. In 1848, Chopin’s health became much worse, (his weight had fallen to 45 kg); he was likely suffering from tuberculosis. But, he was able to make one last journey to Scotland and later England. In England, he gave his last public performance at the Guildhall, London. In his last few years, his fame as a performer declined, and he lacked the health and energy to teach. Despite earning good money, earlier in his career, he became reliant on benefactors and selling off furniture in his last couple of years to help with bills. On 17 October 1848, he died, surrounded by Solange and a few close friends. Citation: Pettinger, Tejvan. 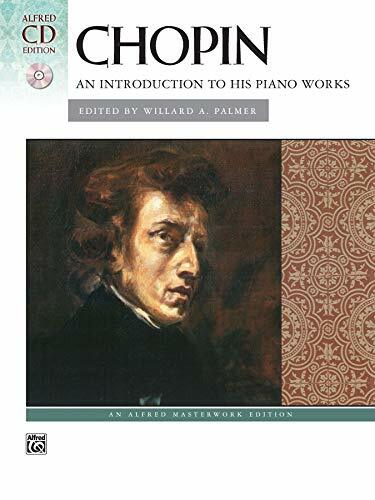 “Biography of Frederick Chopin”, Oxford, www.biographyonline.net, 1st Jan 2012. Last updated 1 March 2018. Musicians – Famous musicians from classical music to popular music. Including Mozart, Beethoven, Bach and John Lennon. Famous Composers – A list of famous and influential composers throughout history, including the greatest composers, such as Bach, Mozart, Beethoven, Schubert and Liszt. Famous Polish figures – including Marie Curie, Pope John Paul II, Lech Walesa, Frederick Chopin and Nicholaus Copernicus.